Fastjet flight bookings qualify to take part in the world's only travel vouchers for travel reviews program. Email a writeup of your flight to cheapflights@southafrica.to and we'll send you SouthAfrica.TO flight discount vouchers (send photos for bigger vouchers). Our readers are our writers! Ask for help with flight quotes - SouthAfrica.TO travel agents are itching to assist you. Did you spot a plane with an African grey parrot painted on its tailfin? Fastjet (IATA code FN) is a discount airline operating flights from Tanzania, including flights from Johannesburg to Dar es Salaam. They are owned by Fastjet PLC, a London listed company, with main operations in Tanzania. 7 August 2018 FastJet has announce that all their airfares now include one piece of checked baggage and a snack or refreshment. They have discontinued their BigSaver and Achiever fares, replacing them with all-inclusive options. This is a significant departure from the low-cost model they have followed and likely reflects the desire of passengers for food and checked baggage. 20 June 2017 FastJet just announced that they are increasing flights between Johannesburg and Harare and that they will launch a fifth flight between Harare and Victoria Falls. From the 1st of July 2017 the airline will offer up to three return flights daily between South Africa and Harare. This is aimed at business travellers who need more flexibility. 9 January 2017 South African aviation group Solenta Aviation will acquire a 28% stake in the low cost carrier. Solenta will provide FastJet with Embraer 145s, crew, maintenance and insurance. This will then replace FastJet’s Airbus A319s on its shorter routes. It isn't clear how this affect the airline's schedule yet. 28 November 2016 FastJet announced that they are cancelling three routes, including their Johannesburg - Victoria Falls route from the 5th of November 2016. It is not clear whether they are going ahead with the Cape Town - Victoria Falls flights as they had earlier announced. Passengers already booked on the cancelled route will however be offered an alternative route via Harare. Other cancelled routes include Dar es Salaam - Entebbe and Dar es Salaam - Nairobi. 7 July 2016 FastJet announced that they hope to start up flights between Cape Town and Victoria Falls, Zimbabwe before the end of the year. They did mention that this might only happen next year and that the plan is still in its early phases. We hope that Nico Bezuidenhout can speed up the process. 10 June 2016 Mango CEO Nico Bezuidenhout will soon be joining the leadership at FastJet! Just yesterday he announced his resignation from Mango where he held the position for ten years. He'll be taking over the helm at Africa's only low cost carrier as CEO and join the board of directors on the 1st of August 2016. This certainly marks the start of an exciting time for FastJet and could also be just the catalyst they need to start domestic operations in South Africa. 30 March 2016 FastJet launched flights between Johannesburg and Victoria Falls on the 25th of March 2016. The airline has since said: “The flight was fastjet’s first international route from Victoria Falls and was launched in response to strong passenger and tour operator demand from within the South African market." Airfares start from R1939 per way. They are currently operating the route twice-weekly, on Fridays and Sundays, on an Airbus A319 with seating for 144 passengers. This is perfect for your next long weekend break! 7 March 2016 FastJet flights between Johannesburg and Victoria Falls will launch on the 25th of March 2016. They will operate the route twice-weekly, on Fridays and Sundays. Making it perfect for a weekend break! 18 February 2016 It is just a week since FastJet last announced that they are increasing flights between Johannesburg and Harare and they are already increasing it again. The airline will now offer double-daily flights on all days of the week except Saturdays. The Monday, Wednesday, Friday and Sunday flights will increase on the 26th of February and the Tuesday and Thursday flights will increase from the 28th of March 2016. 11 February 2016 FastJet are increasing the flights on their Johannesburg to Harare route to four double daily flights. This will be effective from the 29th of February 2016 and is due to the high demand since the route's launch on the 1st of February 2016. 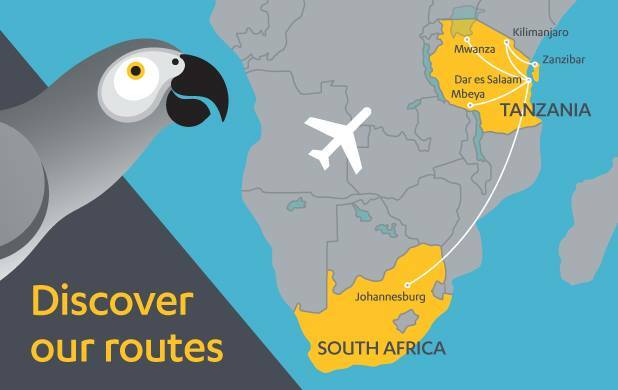 20 January 2016 FastJet has launched new direct routes from OR Tambo to Harare (HRE) and Victoria Falls (VFA). Harare - Johannesburg flights will launch on the 1st of February 2016 and Johannesburg-Victoria Falls flights will launch on the 3rd of February 2016. Flights to Harare will operate daily whilst flights to Victoria Falls will operate three times per week. Flights to Harare start from R1 939 and flights to Victoria Falls start from R2 210. The Airbus A319 jet aircraft will seat up to 144 passengers. 13 January 2016 FastJet is looking into expanding its operations in South Africa and Zimbabwe. "We are hoping to get the correct permits to start flights between Harare and Johannesburg, which we wish to operate at least double daily. We are also looking to link Johannesburg with Victoria Falls, and thereby grow operations in Zimbabwe," said Richard Bodin, FastJet's COO. They are also planning on adding flights between Lusaka and Johannesburg later this year. 8 October 2015 Fasjet has been forced to delay the start of their operations in Zambia and Zimbabwe because of a downgraded financial forecast for 2015. The airline hoped to launch flights in the two countries by October, but they have now delayed the launch date of the Zimbabwe operations to mid-November and Zimbabwe’s launch will now only happen early in December. 1 October 2015 FastJet has been operating direct flights between Johannesburg and Dar es Salaam for the whole month of September 2015. They will continue to do so at very affordable prices. 27 August 2015 From the 1st of September 2015, FastJet will operate daily flights from Johannesburg to Dar es Salaam. Currently the airline operates flights between the two cities on Tuesdays, Thursdays and Saturdays. 30 June 2015 Fastjet announced yesterday that they are launching a new route from Dar es Salaam to Lilongwe, Malawi on th 27th of July 2015. They will operate the route on Mondays and Fridays with the 'freighty' option also available on these flights, allowing passengers to transport up to 80 kg of checked baggage. 08 June 2015 Fastjet has reported an operating loss of US$30.7-million for the 2014 financial year. Fastjet CEO, Ed Winter, said that the airline had a significant increase in passenger numbers in 2014, despite recoding large losses. The airline is planning to launch new routes in Zambia and Zimbabwe this year. The 50 million pound equity funding that they received last year has given their cash coffers a boost. They believe that their low cost model in East Africa is working, despite the losses that they have recorded. 26 March 2015 FastJet’s plans to expand their operations in Southern Africa has been given a shot in the arm. The airline has received an Air Service Permit (ASP) from the Ministry of Transport and Infrastructural Development and the Civil Aviation Authority of Zimbabwe (CAAZ). They have not taken a significant step towards receiving their Air Operating Certificate (AOC) which will make it possible for them to start operating in Zimbabwe. 16 March 2015 Rumour has it that FastJet is approaching South African investors in order to advance their goal of becoming the first pan-African low-cost airline. This comes despite the fact that they had to withdraw from Ghana and Kenya at the end of last year, due to various problems in each country. Apparently they plan on opening operations in Kenya, Zambia, Zimbabwe, Uganda and South Africa within the next few years. We won't mind another low cost airline entering the domestic market, but knowing how many hoops the SA Civil Aviation Authority will have them jump through, we won't be holding our breath. 12 January 2015 Fastjet Zambia has successfully completed Phase 1 of its Air Operating Certificate application. The Zambian Civil Aviation Authority will not evaluate the airline’s planned company structure and examine its aircraft in the second phase of the application. Zambia will be Fastjet's second base in Africa, from which the airline plans to operate low-cost flights to numerous destinations across east Africa. 19 November 2014 Fastjet has received its Air Service Permit from the Zambian authorities. The airline is now a step closer to launching flights in Zambia. Fastjet is now working on submitting the necessary documents to complete their application for an Air Operators Certificate (AOC). Once they receive their AOC they will be able to start flying on Zambia. 03 November 2014 Fastjet has launched a competition where the top 6 agents who have booked the most Fastjet passengers during November and December on the Joburg – Dar es Salaam route will win prizes to the value of R50 000. The first prize is a iPhone 6, 2nd is return flights to Zanzibar for 2 people with 2 nights’ accommodation at the Zanzibar Serena Hotel. 4th, 5th and sixth place winners will get return flights between Joburg and DAR for 2. Winners will be announced at the end of January 2015. 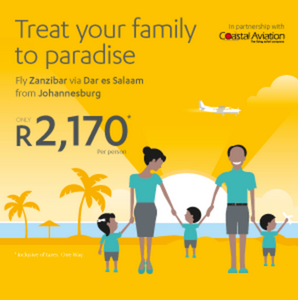 30 October 2014 FastJet have launched flights from Johannesburg to Zanzibar at extremely competitive prices starting from R2170*. *Subject to change. Limited availability and only on certain dates. The route can be booked either on the booking engine on your left, on FastJet's website or through their call centre. If you are interested in booking on their website you will have to first book your Johannesburg to Dar es Salaam flight and then add on the flight from Dar es Salaam to Zanzibar after you've selected your seat. As they make use of a smaller coastal aviation plane for the secon flight between Dar es Salaam to Zanzibar and back, different baggage rules apply. You'll only be able to take on one complimentarycabin bag with a maximum weight of 20kg. It's dimentions may be no larger than 56cm x 45cm x 25cm. 29 October 2014 The Civil Aviation Authority of Kenya has postponed Fastjet Kenya’s air service application. This decision by the Kenyan Authorities has dealt a huge blow to the airline’s ambition of flying in the Kenyan domestic market. The airline applied for a licence to operate non-scheduled air services for freight, passengers and mail both locally and domestically. 23 October 2014 Fastjet now accepts MasterCard and Visa credit cards from travel agents in South Africa through GDS. Fastjet now accepts credit cards after partnering up with Hahn Air who make use of Marketing Code H1 and Operations Code FN. The airline believes that by giving agents and clients the opportunity to pay with their credit cards, selling sets will become easier which will in turn increase their volume. They follow the European low cost carrier model of charging for all hold baggage, changes and not allocating seats at the point of booking. Fastjet have 3 Airbus A319s, so expect to be flying in a modern & fuel efficient jet, which carries 156 passengers. In addtion to the direct flights from JHB to DAR, you can book 1-stop flights from Johannesburg to Kilimanjaro, Mwanza, Mbeya and Lusaka. 2014-06-01 If you like midnight flights you're in luck. Fastjet are shifting their flight schedule between OR Tambo International Airport & DAR. 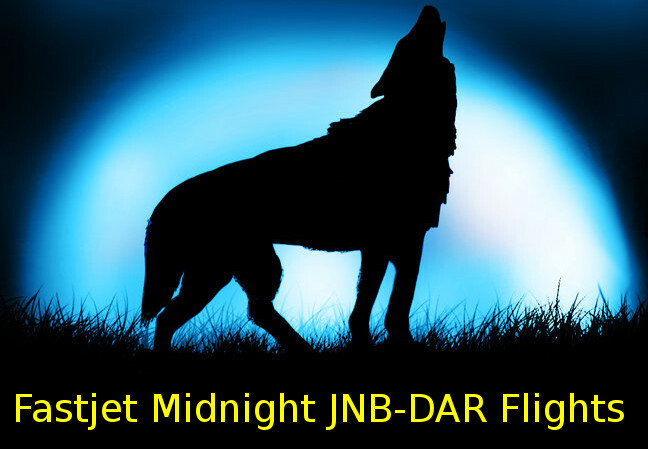 They are switching to flight FN6182 leaving JNB at 00h05 on Tuesdays, Thursdays & Saturdays (and land in DAR at 04h40); whereas currently the flights leave on Mondays, Wednesdays & Fridays. This will give business a full day in Dar es Salaam. The return flight FN6181 is scheduled to leave DAR at 20h30 on Mondays, Wednesdays & Fridays (and land in JNB at 23h15). Within the airports code FN is shown, but on GDS the booking code is F1 (Hahn Air). This is a slot used previously by Precision Air, and it works perfectly. Fastjet has been operating 3 flights a week from Johannesburg's OR Tambo International Airport to Dar es Salaam's Julius Nyerere International Airport since the 18th October 2013. 2013-11-12 fastjet says that "We are seeing solid demand for our recently launched international route from Dar es Salaam to Johannesburg and are currently looking at increasing capacity on this route." 2013-10-18 fastjet's first flight from Dar es Salaam to JNB, FN0201, took off off from Julius Nyerere Airport at 09h27, and lands at OR Tambo International Airport at 12h00. At 13h07 the return flight from Johannesburg to Dar es Salaam was in the sky and on its way. 2013-09-26 fastjet postpones its planned launch of flights from Johannesburg to Dar es Salaam (meant to start 27 September 2013), citing extra documentation requested by the South African Department of Transport as a result of their name change from "fly540 Tanzania t/a fastjet" to "fastjet Airline". Fastjet claim to have supplied the department with the documentation, and are waiting for them to process it, but the department says they are still waiting for documents reflecting the new name. In the meantime, customers who have booked with fastjet will get a full refund as well as a complimentary seat for rebooking within the next month. 2013-09-11 Fastjet flight special from Johannesburg to Dar es Salaam, with 1-way tickets from R1600*. 2013-07-29 Tickets on Sale This Week : Tickets for fastjet flights from Johannesburg to Dar es Salaam are to go on sale from the 31st July 2013, with fares as low as USD100 (we believe that excludes airport taxes and charges). On the 31st July only those who have liked Fastjet's Facebook page can purchase tickets, and then on the 1st August 2013 anybody can buy tickets. The first flight is scheduled for the 27th September 2013, and the plane being used is an Airbus A319. There'll be 3 flights a week. "We have been working exceedingly hard to acquire the necessary permissions to operate internationally and we would like to thank the public for their patience and support. Our decision to offer our Facebook 'friends' the opportunity to purchase tickets first is our way of thanking them. For some time the Dar es Salaam to Johannesburg route has only been operated by one airline and the lack of competition has created inflated fares. fastjet will substantially reduce the average fare and in doing so will encourage more leisure and business traffic between Tanzania and South Africa." said Richard Bodin, fastjet's COO. 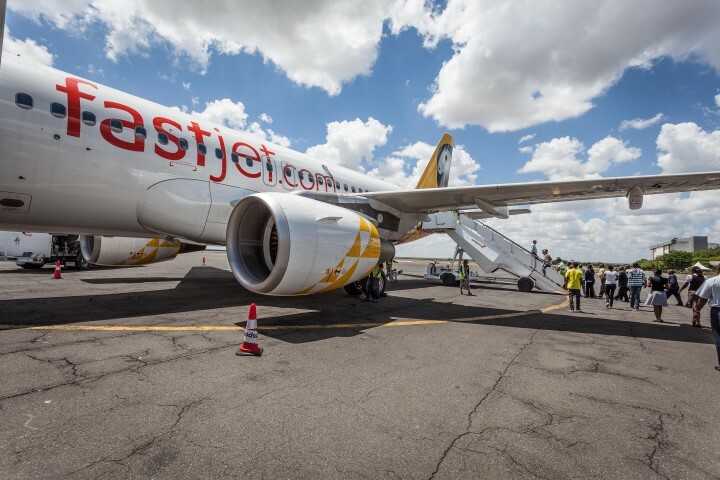 Ed Winter, the Fastjet Chief Executive says that "This is a hugely important day for fastjet and the people of Tanzania and we are delighted to have reached this significant milestone in our history. Despite a number of challenges, fastjet is now able to respond to huge consumer demand and provide an alternative and affordable link between Dar es Salaam and Johannesburg, having secured all required permissions to do so. For far too long it has been difficult and prohibitively expensive to fly between these two extraordinary cities. We expect our lower fares to stimulate a huge increase in the numbers of passengers travelling on this route, as has been the case on our domestic routes in Tanzania. Overwhelming public support for fastjet's low cost model has been a contributing factor to us launching this route. We hope that the obvious desire for a change in the competitive landscape will result in fastjet soon being awarded licenses in more African countries, bringing consumers the benefits of choice and lower prices on many more international routes." 2013-07-07 Foreign Operator Permit in South Africa : The South African Department of Transport has provided Fastjet with a Foreign Operator Permit, allowing it to operate flights from Dar es Salaam to Johannesburg. 30 September 2014 : Fastjet have announces their Interim Results for the six months ended 30 June 2014. The airline’s numbers are on the rise with first-half revenues growing by 96% to $19 million, after recording a 41.5% increase in the number of passengers flown. Average revenue in Tanzania per passenger has grown by 39.3% in the 6 months to $81.65 per passenger. The airline is however still running at a loss of $30.5 million for the first 6 months of the year. Let’s hope they keep on growing! 11 April 2014 : Fastjet confirm in a Stock Exchange update that they plan on establishing bases in all of Kenya, SA & Zambia; by 2016. 7 April 2014 : Fastjet have made Tanzania tour packages availble on their travel agent booking portal. Whilst flight tickets typically excluded checked in luggage, as part of the tour packages they include 1 piece of checked baggage. The CCO, Richard Bodin, couldn't resist a dig at their competitors who "charge exorbitant and highly fluctuating fares...on the Johannesburg-Dar es Salaam route”. 3 March 2014 : Travel agents rejoice! Fastjet has launched an online portal for South African travel agencies; where they can make flight bookings for their clients, as well as make changes and create reports. Payment is accepted by Mastercard as well as visa credit cards. 10 February 2014 : Fastjet CEO, Ed Winter, is reported to have said that fastjet is still keen on starting up in South Africa, and are watching the chess match between FlySafair and Comair, which is playing out in the courts, closely to see whether there would be any precedents set regarding South African aviation regulations. 12 November 2013 : fastjet have appointed Holiday Aviation as its GSA in SA to handle the call centre, flight bookings and service the travel trade. Here's the press release: 'Johannesburg, Monday 11 November 2013 – fastjet, Africa’s low-cost airline, has appointed Holiday Aviation as its General Sales Agent (GSA) in South Africa, following the recent launch of its first international route between Dar es Salaam and Johannesburg in October 2013. Holiday Aviation is tasked with handling all reservations, and call centre functions to service the travel trade, as well as the corporate and consumer market. A dedicated Holiday Aviation team will be able to book, and issue any fastjet ticket, manage changes to bookings directly on fastjet’s reservation system, and handle general day-to-day queries from travel agents and the public. News has gone a bit quiet on Fastjet's plan start to dometic operations in South Africa. The original plan was that Fastjet PLC had signed an MoU with fastjet Holdings, who would be hiring Federal Air to operate flights in South Africa for the first 6 months on its behalf (the estimated time it would take for fastjet Holdings to get its own license in South Africa), with all revenue going through Federal Air's bank accounts and a portion past on to fastjet Holdings. End 2013. More or less when Fastjet wants to launch. mid June. The planned start date for ticket sales. Fastjet Holdings was previously known as Blockbuster Trading 53, which was registered in South Africa as a company in May 2011), and whose directors are Paul de Robillard, Yusuf Kajee, Zakkiyah Vawda and Edward Zuma (a lawyer, and the eldest son of President Jacob Zuma). The main shareholder of fastjet Holdings is Paul de Robillard. Fastjet Holdings will be 25% owned by Fastjet PLC (can't be more in order to comply with regulations which require South Africans to own at least 75% of airliners operating in the country). Even though they own only 25%, all the funding for the operation comes from fastjet. 31 May 2013. This was the initial planned start date for Johannesburg to Cape Town flights. 17 May 2013. Fastjet's Brad Dicksen is interviewed on SABC News (starts 1 minute 20 seconds into the clip): "Mr Zuma is a shareholder in a business that fastjet have chosen to invest in in South Africa. Federal Air, as a duly licensed airline in South Africa, is going to be in full and complete operational control. We are merely using the fastjet brand. Pretty much akin to a franchise agreement. So I can't see how that is fronting." 15 May 2013. This was the initial planned start date for taking bookings. 7 May 2013. A 144-seater Boeing 737-300 has been wet leased for 6 months from Starcargo Airlines, who will also provide the pilots and cabin crew for the plane. Starcargo Airlines is based at Johannesburg's O.R. Tambo International Airport. The short 6 month period is to allow time for fastjet Holdings & Federal Airlines to get permission to operate fastjet's preferred A319 in SA. 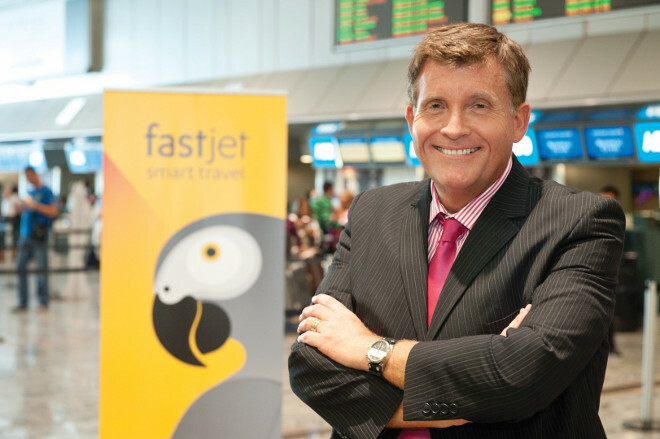 The Chief Executive of fastjet South Africa, Kyle Haywood, says that "This is yet another definitive step towards the commencement of fastjet services and we remain on track for an end of May launch. fastjet is working hard with its South African partners to put this initial route (Johannesburg to Cape Town) on sale shortly." 29 Apr 2013. fasjet announces on the facebook page that South African tickets will be on sale soon. 26 Apr 2013. Blockbuster Trading 53, the SA partner of fastjet, changes its name to fastjet Holdings. Kyle Haywood has been appointed CEO of fastjet's South African operations (he's also fastjet's MD for Africa). "I am really pleased that we have Kyle overseeing this exciting project given his vast aviation experience". said Ed Winter, the CEO of fastjet. Kyle was CEO of Air Uganda before he joined fastjet, and has had stints working at Etihad and BA. 24 Apr 2013. Fastjet PLC shares, which trade in London, is 29.5% down on the previous day's close. 24 Apr 2013. How did Edward Zuma & Yusuf Kajee get in touch with fastjet, who approached who? There was a matchmaker involved: "To be honest, we were introduced" Richard Bodin. 24 Apr 2013. Some insight into why Fastjet chose Blockbuster over 1time: "In the opinion of the directors, the value of the 1time has diminished over time. As there is still no indication that 1time creditors will accept the fastjet offer, the company has therefore chosen to invest in the Blockbuster/Federal Airlines venture to pursue its entry into an important African market and a country well-suited to fastjet's low-cost operating model." 24 Apr 2013. Edward Zuma, the son of the President, and Fastjet plan to start an offering flights in SA by 31 May 2013. It has signed an MoU with a company called Blockbuster which is owned 75% by South Africans` (and the other 25% owned by fastjet). The new airline will be 75% owned by South African citizens, in order to ensure it complies with SA regulations. Blockbuster has an agreement with Federal Air to operate the flights. Mr David Lenigas, the chairman of fastjet, says that “We believe that the operating agreements in place between Blockbuster and Federal Air represent a great opportunity for fastjet, our local investors, our partners at Federal Air and most importantly, the South African public. Air fares in South Africa have skyrocketed since 1time ceased flying at the end of last year, and many planes are operating at full capacity. We are now firmly focused on quickly getting up and running in order to create a fresh, unique and commercially sustainable offering which will stimulate the market. fastjet sees a strategic gap in the South African marketplace for a pan-continental, low-cost airline operating the yield management model required to keep fares affordable for passengers, not just at launch, but also in the long term. We do not seek to be a hostile competitor in the market place as we fully understand and appreciate the significance of the national carrier and existing airlines in country, but we want to provide extra seat capacity to South Africans so that they can travel when and where they want at better prices.” Fasjet have placed 160m shares with a London company in exchange for 2m pounds (about R28m) to finance its expansion into South Africa. “Though we have been in talks with a number of companies regarding licensing arrangements, we have ultimately decided that in order to best serve South African customers, we should invest not in the past, but in the future.” said Ed Winter, the CEO of fastjet. 15 Apr 2013. A Fastjet Airbus A319 lands at Johannesburg O.R. Tambo International Airport and parks at the Federal Air apron. Nobody knows why they've decided to fly one of their Airbuses to South Africa. 18 Mar 2013. Fastjet said its talks in SA were "very constructive" and announces that it has filed a letter of intent with the 1time liquidator. 14 Mar 2013. "We met with the executives of Fastjet and their attorneys and engaged on technical options to explore in order to expedite our negotiations and finalise this transaction. "The effect of the amendment to the application renders the application legally compliant and does not need consent from the minister with regards to the shareholding structure. A letter of intent will be furnished to us by Fastjet. In turn we will immediately engage with creditors of 1time on the details of a compromise offer, which will have to be voted upon by the different classes of creditors and then sanctioned by the court." said Aviwe Ndyamara, the provisional liquidator of 1time Airline. 1 Mar 2013. The Tshwane Trust has extended the time frame for the liquidation of 1time until the 2nd October 2013, in order to facilitate the acquisition. Fastjet's application to purchase 1time airline now includes a change which deals with black economic empowerment. 28 Feb 2013. The Democratic Alliance Party's Shadow Minister of Public Enterprises, Natasha Michael, argues that "The Minister of Transport, Mr Benedict Martins, has been dragging his heels without explanation over the signing-off on a deal which would see low-cost airline Fastjet acquire 1time airline. The uncertainty stemming from the Minister’s inaction has left the deal on the brink of collapse, an outcome which would spell the end for 1time and result in the loss of thousands of jobs...The expertise and capital injection Fastjet would bring to 1time would undoubtedly save thousands of jobs and enhance the competitiveness of the domestic airline market, with consumers set to reap the benefits." 24 Jan 2013. The Business Day reports that Comair, who run the Kulula and British Airways brands in South Africa, have objected to Fastjet's bid for 1time airline in a letter written to the IASC (International Air Services Council), saying it would "weaken the position and protection of South African shareholders in African aviation, which is the rationale for the 25% foreign shareholding limit as per the Air Services Licensing Act...We believe that their true intent is actually to expand their services from Tanzania to SA, but instead of following the normal process of applying for route rights from Tanzania, they are bypassing the whole bilateral route application process by buying 1time and acquiring the route rights as a South African airline." Fastjet in turn said that they did not "intend to comment on its ongoing discussions with relevant authorities regarding 1time." It's also reported that Mango Airlines and SAA have filed objections to 1time's license being transferred to Fastjet. 19 Dec 2012. Fastjet announces that it has acquired an option to purchase the entire issued share capital of 1time Airline for R1. If the option is exercised, then the agreement is subject to UK & SA government approval, the approval of Lonrho Plc (Fastjet's largest shareholder), the approval of 1time Holdings shareholders and 1time Airline reaching a court sanctioned agreement with its creditors. The agreement would involve leasing up to 3 of 1time's 12 planes. Initial flight routes would be serving Johannesburg, Cape Town, Durban, East London & Port Elizabeth. It added that 1time flights would be resumed early in 2013, if the option is exercised. Ed Winter said that "I am pleased we have managed to reach a provisional agreement with all parties to buy 1time. Due to protracted negotiations we will not have 1time flying before the Christmas but very much hope that 1time will be flying again early in the New Year. Flights will initially be operated by a number of aircraft from the 1time fleet including McDonnell Douglas MD-82s, MD-83s and MD-87s. In due course we plan to re-fleet with modern Airbus A319 aircraft. The acquisition of 1time supports fastjet's growth into a pan African low cost carrier and the synergies with fastjet' s existing operations will potentially increase the number of available route networks from South Africa into the rest of Africa. 1time will be rebranded as fastjet brand and sold through fastjet.com. We are working with the South African authorities who, like us, are completely committed to helping the airline industry in South Africa develop for the benefit of all the people. Lower fares mean more economic growth, more jobs and more prosperity. We hope to keep many of the original 1time staff employed. With the co-operation of the shareholders of 1time we can build an airline that will provide a real choice to South Africans, based on the great reputation of 1time and the low cost experience of fastjet." 4 Dec 2012. Fastjet announces that it plans to purchase 1time airlines: “If this transaction goes ahead and the timescales are extremely challenging - we would hope to get 1time flying again in time for the Christmas holiday period, when many customers have had their plans dashed by the cessation of 1time services and the subsequent huge increases in fares by competitors. Flights would initially be operated by a number of aircraft from the 1time fleet including McDonnell Douglas MD-82s, MD-83s and MD-87s, but restructuring plans would see a rapid re-fleeting with modern Airbus A319 aircraft. The acquisition of 1time would be a complementary strategic fit for fastjet’s growth into a pan African low cost carrier and the synergies with fastjet would potentially increase the number of available route networks from South Africa into the rest of Africa. 1time would be rebranded into the fastjet brand and sold through fastjet.com. We are working with the South African authorities who, like us, are completely committed to helping the airline industry in South Africa develop for the benefit of all the people. Lower fares mean more economic growth, more jobs and more prosperity and we hope to keep many of the original 1time staff employed. With the co-operation of the shareholders of 1time we can build an airline that will provide a real choice to South Africans, based on the great reputation of 1time and the low cost experience of fastjet.” said the CEO of fastjet, Ed Winter. seats are only allocated at the point of check-in at the airport. If you're boarding at ground level, then rows 14 to 25 board from the back of the plane and rows 1 to 13 from the front. A passport or state-issued photo identification is required. Extra is charged if you need to check something in as hold luggage - anything bigger than 56x4525cm has to be checked in as hold luggage. Passengers are allowed to take a pushchair/pram if they have an infant. Transport of animals is not permitted. 9 Sep 2014 Fastjet has started offering passengers what they call ‘SmartClass’ on all their flights. SmartClass passengers receive premium seat allocation in advance, increased baggage allowance that can go up to 32kg, and the option of changing flight dates as many times as they like at no additional cost. International passengers can now also fly up to 80kg of hold luggage when they purchase the ‘freighty’ package. Fastjet hopes to attract customers who are looking to buy wholesale products in Dar es Salaam to take back to their countries to sell in local markets or shops with the “freighty” package. 7 Jul 2014 Passengers on all FastJet international and Tanzanian domestic flights can now pre-book their preferred seat at an additional fee. All passengers will still be assigned to a seat free of charge but those passengers who prefer one seat over another can now book their preferred seats up to 24hours before departure time. There are two different seat options to choose from. Passengers will pay $5* (US Dollar) per seat on row one and two at the front of the aircraft. You will also be paying $5* for a pre booked seat on row 11 where there are extended legroom seats available. For those seats that are not in any of the abovementioned rows passengers will be paying $3* per pre booked seat. Prices are for one way flights only. We are waiting for fastjet's first flight to South Africa, to review it and tell you what it's like! If you are looking for a job with fastjet, email your cv to careers.southafrica@fastjet.com (for South Africans) or careers@fastjet.com. I’d probably say perseverance. When I commit to something I don’t give up until I’ve achieved what I set out to do. It’s also really important for me to believe, without a doubt, that the personal and business decisions I make are the right ones. Did you always want to work in aviation? Yes, it has always been a dream of mine to work in the travel industry. When I was young, I wanted to see the world, but without spending too much money – so a job in the industry was the logical way to go. Since I entered the aviation sector, I was hooked, and today, I cannot imagine doing anything else. Tells us about your schooling/educational background? I was schooled in the United Kingdom. I hated the sciences, but loved languages, so much so that I now speak French, German, Spanish and Latin. My very first job was at a bank, which was a terrible mistake and I absolutely hated it. I lasted one year before following my dream to work in the travel industry. My first job in aviation was as a call centre clerk for British Airways. Why did you take up the position with fastjet? I believe that fastjet’s low-cost airline model is a suitable one for Africa, and we really have the opportunity to break new ground in the aviation industry. While fastjet is still a relatively a small company, my job is in no way desk-bound and no two days are ever the same. If you could change one thing in the South African aviation industry, what would it be? It would be the high levels of protectionism and bureaucracy that plague the aviation industry. I have no doubt that South Africa, and the entire continent, would enjoy much more rapid growth if new businesses in all sectors did not have to jump through so many administrative hoops. Who was the biggest influence on your career & why? I have particular respect for a gentleman named Alan Burnet, who was my mentor at British Airways. He had a varied, interesting, and long career in aviation and taught me so much, while encouraging me to follow my dreams. What aspects of your work keep you awake at night? I worry about how fastjet’s progress has been slowed by bureaucracy and protectionism. However, in spite of these challenges, I do also go to sleep with a sense of satisfaction many nights because of all the great things that fastjet has achieved in the past year, such as having flown 355,000 passengers within our first year or having launched our first international route from Dar es Salaam to Johannesburg. Would a fastjet flight from Dar es Salaam to Cape Town work? This route – which takes about five and a half hours - is too long for the low-cost model. fastjet has been very specific in our choice of the Airbus A319 aircraft, and a flight of this length would not be the best use of our aircraft. It makes more sense for us to focus on establishing our route between Dar es Salaam and Johannesburg which launched on 18 October, and then partner with other carriers to get our passengers to Cape Town. This would of course be the alternative option until fastjet establishes a base in South Africa and is able to operate domestic flights. What do you do in your off-time? I don’t have much free time at my disposal of late because I’ve been travelling a lot to countries where fastjet is looking to expand its operations - such as Lusaka, which will be our second international route from Dar es Salaam. However, when I do, I spend as much time with my family as possible. I’m also working hard to improve my French, and I love hiking. My favourite hike to date was one I completed a few years ago, just outside Buenos Aires in Argentina. What advice do you have for South African youngsters, wanting to carve out a career in aviation? A career in aviation is certainly interesting and varied, but it is also immensely hard work. It’s a cyclical business that is influenced by many external factors. However, it is loads of fun, and if you’re prepared to be tough and ride the waves, you will have unrivalled opportunities to see the world and meet many different people. What are the best parts of working for fastjet? I love the variety of my job, and the fact that although I have a very specific title, I don’t have a specific job description. This comes from being part of a small team, where everyone is happy to get involved in doing whatever it takes to make fastjet a success. The entrepreneurship culture of being a start-up business is particularly appealing to me too. It’s also really rewarding knowing that fastjet is playing a part in democratising air travel, enabling more people to be able to fly thanks to offering safe, reliable, and affordable flights. There are 3 flights a week between Dar es Salaam and Lusaka, on Tuesdays, Thursdays and Saturdays. Flight FN0204 is scheduled to take 2 hours and 15 minutes to leave Dar es Salaam at 10h15 and land in Lusaka at 11h25 (just enough time to squeeze in your meetings for the afternoon). Flight FN0204 is scheduled to leave Lusaka at 12h05, and arrive at DAR at 15h20. 15 April 2014. It seems like the DAR-LUN route is going very well, as an extra flight on Tuesdays is being added (announced on 18 Feb 2014). In addion they announced that they have incorporated a company called ""fastjet Zambia" (no surprises there) and are busy applying for an AOC (Air Operators Certificate) in the country. 1 Feb 2014. 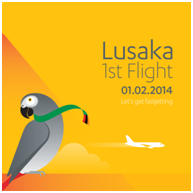 Things are going smoothly...fastjet has successfully launched its flights from Dar es Salaam to Lusaka. This is the airline's 2nd international flight route, after Johannesburg to Dar es Salaam. Next step: get the licence in Zambia and start Lusaka to JNB flights. 17 Jan 2014. South Africa's loss is Zambia's gain. We shunned fastjet when they wanted to enter our markets, and now fastjet is chatting to the Zambian state about starting to fly there. The plan is for fastjet to own a large chunk of a company registered in Zambia, and then apply for the relevant licensing. Fastjet is already selling tickets for its DAR - Lusaka flights. A pity, as this could be happening in SA. 29 Nov 2013. On the day of celebrating their first year of flight operations, fastjet has announced the launch of it’s second international route from Dar es Salaam to Lusaka, starting off by operating twice a week, and becoming the first airline to offer a direct link between the cities (there is currently no direct airlink between the 2 cities). Ticket sales started in mid-January 2014, with fares as low as around the R760 mark ($75), with the first flight scheduled to take place on 1 February 2014. This creates 1-stop flights from Johannesburg to Lusaka via Dar es Salaam. “We’re proud and excited to announce the launch of our second international route between Lusaka and Dar-es-Salaam. Fares start from just K450 one way (excluding taxes) and are available to book now,” said fastjet on their website. 25 Jun 2014 FastJet has signed an agreement which has seen them dispose of their share in Fly540 Kenya. FastJet has dropped their loss making investment in Fly 540Kenya that they inherited from a previous deal. This came after FastJet decided that converting Fly540 Kenya into a low cost airline like FastJet would not be viable economically and that it would be better for both parties if they part ways. 15 Sep 2014 Fastjet will start flying between Dar es Salaam in Tanzania and Entebbe in Uganda from the 16th of September 2014. This will be Fastjet’s forth international flight that it will be operating out of its hub in Tanzania, flights will initially be operated twice a week on Tuesday and Thursday. 12 Aug 2014 Fastjet has just released their Passenger Statistics for July 2014. The airline carried a total of 52839 passengers at a load factor of 73%. Compared to the same month a year ago, the percentage of passengers carried has increased by 69%. An amazing 94% of their flights arrived on time and passenger revenue has increased by 22% month to month. The good news from the success story that is Fastjet keeps flowing in. Keep it up and hopefully we will see the airline flying domestically in South Africa soon. 14 Jul 2014 FastJet's Angus Saunders has resigned from his position as CFO and executive director due to personal reasons. Nick Caine, former CFO of Fiji Airways, will take over the role of CFO from 11 August 2014. Saunders and Caine will work together over the coming months to ensure a smooth transition. Nick Caine has 23 years of financial management experience and has also spent time as a financial advisor to turnaround, start-up and low cost airlines which makes him very qualified to help FastJet continue to grow. 9 Jul 2014 Latest fastjet passenger statistics for the month of June 2014. The airline carried a total of 53,386 passengers during the month of June 2014. Seat capacity has increased by 95% compared to the same month last year. From May 2014 to June 2014 capacity has increased from 67,425 to 60,320 seats flown, a 12% increase in capacity month to month. 91% of fastjet flights arrived on time, a good achievement if you take into account the increase in flights. The Interim Chairman and Chief Executive Officer of fastjet, Ed Winter said that he is delighted to see their capacity increasing and that it is in line with their plans to almost double their market share. 30 Jun 2014 FastJet has been recognised as the cheapest low-cost carrier in Africa and the fifth cheapest in the world according to a recent survey by WhichAirline.com, a American flight comparison site. Averaging around R750 (US $71) per flight, the only other airlines that could beat FastJet's prices are Asian based. This is great news for African travellers who are on a budget, as it proves that FastJet's prices are in line with international low-cost carriers. 25 Apr 2014 Expedia & Fastjet have entered a partnership where fastjet flights may be sold via Expedia, Egencia & Hotwire. 12 Mar 2014. Fastjet has announced a 76% load factor for February 2014 flights which is down from 80% in February 2013, and an average yield per pax of $82 (was $47 in Feb 2013). 11 Mar 2014. 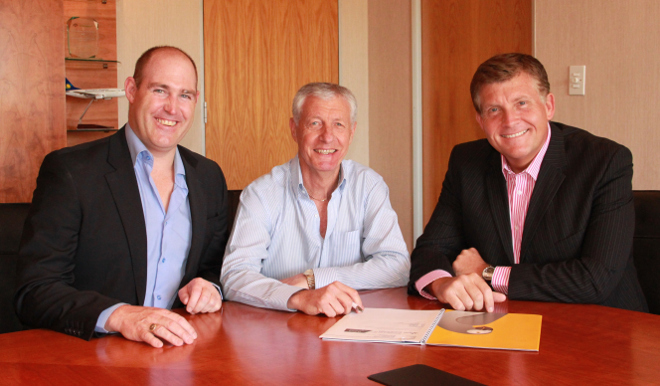 Fastjet has signed a deal with Look4Parking & Traveljigsaw, to sell parking & car hire & open up a new revenue stream. On the 8th Jan 2014, fastjet signed agreements with Hahn Air Systems & Skyscanner to enable travel agents across the globe to sell their flights on Travelport, Sabre & Amadeus GDS systems. "fastjet, as one of our first customers in Africa, extends our airline portfolio of e-alliance® with pan-African routes and competitive prices for global distribution. Hahn Air Systems is looking forward to fruitful cooperation with fastjet entailing joint sales and growth." said Hahn Air Systems' MD, Alex Proschka. On the 24th Jan 2014 fastjet's GDS went live (operations code FN & marketing code H1) on Worldspan, Amadeus, Sabre, Sirena, Galileo, AXESS and Apollo; with "significant sales enquiries coming in from the South African travel trade". 14 Jan 2014. Fastjet are rocking! Shareholders will be chuffed to note that not only did fastjet Tanzania carry a record number of pax in December 2013 (37,458), but they also made a record amount out of each passenger (USD 97) - this compares to them making only USD 50 out of each passenger in Dec 2012. Results were boosted by them increasing flights between Mbeya and DAR from 3 to 4 a week on 1 Dec 2013, and then to 7 a week from 16 Dec 2013. 18 Dec 2013. Fastjet's 400,000th passenger is carried, and is handed 2 return tickets to Zambia, the international flight route Fastjet is planning on launching soon. 17 Dec 2013. Fastjet announces that its Tanzania operations carried 33,301 passengers at an average load factor of 72% in November 2013. "We are very pleased to have achieved an average load factor of 72 per cent across the network in November, a traditionally weak month with travel down ahead of the festive season." said CEO, Ed Winter. "To date, we have carried over 350,000 passengers with an average load factor of 73% on each flight and 11% of our customers paying only $20 plus tax for their flight. As we enter our second year of operation, I believe we have now laid firm foundations for our expansion towards becoming a truly pan-African low-cost airline." Four new directors are appointed to the board of Fastjet Tanzania : Richard Bodin (CCO of Fastjet PLC, Angus Saunders (CFO of Fastjet PLC), Ami Mpungwe (a Tanzanian businessman) and Lawrence Masha (a former Tanzanian minister). They join Kyle Haywood (GM for Africa) & Ed Winter (CEO of Fastjet PLC). 24 Nov 2013. fastjet adds a Sunday flight to its Dar es Salaam to Mbeya route, where it achieved a 97.5% average load factor in its first 2 months. 3 Sep 2013. BidAir and Fastjet sign an agreement to carry dry cargo (e.g. post) on their A319s. "We are proud to be associated with fastjet, and by replicating our business model, which has thus far proven successful in South Africa, Uganda, and Zambia, we are confident that we can provide a quality and reliable service to Tanzanians." said the CEO of BidAir Cargo in Tanzania, Vincent Banda. "The cargo revenue rates per kilo in Africa are some of the highest in the world due to the challenges presented by poor road and rail infrastructure. Carrying cargo by air is often the most efficient choice for cargo operators. We believe that offering this service will create an additional revenue stream for fastjet while incurring low additional operating costs. BidAir is the perfect partner for us due to its excellent reputation and customer-centric focus." said Richard Bodin, COO of Fastjet. 28 Aug 2013. Fastjet opens sales for its new route between Dar es Salaam and Mbeya's Songwe Airport (both in Tanzania), using its A319s. Three flights a week will commence from 1 November 2013. "The launch of flights between Mbeya's Songwe airport and Julius Nyerere airport in Dar es Salaam demonstrates that we are committed to delivering on our promise to the Tanzanian population to fly to airports that are sufficiently developed to accept our modern jets. We are offering fares starting at our trademark price of USD$20 (Tsh 32,000) excluding fees and taxes, and are confident that this will not only stimulate both commercial and leisure traffic but also give passengers an alternative to long and arduous journeys by road." said Fastjet's Chief Operations Officer, Richard Bodin. "We have been inundated with requests from passengers for fastjet to operate a service on this route, and are extremely pleased to be launching ticket sales today, building on the success of our existing Tanzanian operation. The Government of Tanzania has invested a considerable sum to develop this brand new airport and the regeneration of its infrastructure is due to be completed in October, allowing us to commence flights on the 1st November." said Ed Winter, the Chief Executive of Fastjet. 24 May 2013. Tigo Tanzania & fastjet set up a new agreement to allow cellphone payments via Tigo Pesa for the fastjet airline tickets. “We continue to innovate at fastjet. After the incredible success of our initial mobile phone payment channel, we have been working hard with Tigo to bring this highly popular service to Tanzania’s consumers. Over 25% of our customers pay through their mobile phones and with the launch of the Tigo service, we expect this to grow substantially. This, coupled with our recent introduction of credit & debit card payments, really does mean that our customers have all options available to them through which to purchase tickets." said Mr Richard Bodin, the COO of fastjet. 23 May 2013. Fastjet & SomeOne, its marketing agency, win the "Brand Strategy of the Year" at the London Drum Marketing Awards; for establishing Fastjet's African Grey Parrot brand. "The African Grey Parrot was carefully selected by Fastjet following in-depth market research in Africa & reflects Fastjet's motto of Smart Travel"
19 Apr 2013. Fastjet partners with Planet Toccer to provide in-flight "freemium" sports games applications. 18 Apr 2013. Fastjet announces that it has suspended its flights to Kilimanjaro from Zanzibar and Mwanza - Kilimanjaro flights because there's not as much demand for tickets "during the rainy season", & will restart them on the 1st July 2013. Passengers who had booked on the suspended flights are getting refunds. 8 Apr 2013. Fastjet launches its mastercard & visa credit card purchase system for foreign passengers. "We have been inundated with requests from outside Africa for people looking to purchase seats on the FastJet website and we are now in the position to be able to facilitate these bookings. This coupled with our hugely popular Mobile Money payment facility really means that our customer base has the full suite of payment processes available to them" said the COO of Fastjet, Mr Richard Bodin. 8 Apr 2013. Fastjet is announced as one of the top 20 most colourful airlines in the world by Skift (Kulula and Mango were also in the top 20). 26 Mar 2013. Fastjet announces that it is using Wirecard's services for Mastercard & Visa credit car bookings, which allows travel agents & passengers to book flights with debit & credit cards. 18 Mar 2013. Fastjet introduces daily flights from Kilimanjaro to Mwanza and Kilimanjaro to Zanzibar. 26 Feb 2013. Fastjet's General Manager for Africa, Kyle Haywood on the tax issue with Tanzanian authorities, and the issue with Fly Five Fourty Kenya: "There are various agendas out there, there are things that have been reported that are inaccurate. As Fastjet we have a commercial policy that we will not argue cases in the media. We have our own way of reconciling, of validating, and that is exactly what we are doing - that is normal business practice. And so, there is absolutely no risk that the bill that are historical will jeopardise the future. But we have been explaining to the authorities that we want validation of some of those bills, that we want supporting documents for those bills, because we can't just pay simply because there is a figure at the bottom of a piece of paper. But all of the ones for Fastjet we are continuing to pay...There are various channels open which we have tried to engage Fly Five Fourty Kenya to discuss their concerns. Those channels have not been exercised by Fly Five Fourty Kenya for reasons best known to themselves; and so therefore we are looking at various other ways whereby we can expedite this matter. I can tell you that a number of things which have been reported and continue to be reported today are factually incorrect, but we will not argue this case in the media." 12 Feb 2013. Joachim Maambo, of the Tanzania Airports Authority, writes a letter to Fastjet: "Kindly note that, if we don't receive any statement from your office within the stated period, Tanzania Airport Authority will opt for other measures to ensure your company pays the outstanding debt...as at 31 January 2013 the amount is 224,813,040 which is accrued from the invoices drawn from TAA headquarters and 313,470 and 13,422 US dollars accrued from the invoices drawn from the Arusha Airport." 28 Jan 2013. Jetlink, a Kenyan airline, and fastjet sign a Memorandum of Understanding under which the fastjet brand will be launched in Kenya. "We are looking forward to this prospective joint venture. We believe the partnership will be mutually beneficial and will go a long way in meeting the current demand for capacity on Kenya's domestic and regional routes. It will also generate new traffic as passengers are attracted by low fares, made possible by fastJet's low-cost operating model." said the CEO of Jetlink, Elly Aluvale. "This project represents a great opportunity for both parties and discussions are progressing well. A Joint Venture between fastJet and Jetlink will facilitate the launch of the fastjet brand in Kenya within the net few months with immediate access to domestic and regional destinations. Kenya is the major destination in East Africa and launching here is an important step towards fastJet becoming a pan-African low cost airline, bringing safe, reliable and affordable air travel to more and more people." said the CEO of fastJet, Ed Winter. 16 Jan 2013. It's now possible for passengers to pay for their flights with their mobile phone, using the M-Pesa mobile payment system. You book the flight online, then a unique booking number is sms'd to you, which can be used to make payment using M-Pesa, with the fastjet business number: 900900. 3 Jan 2013. "There have been complaints from various quarters about Fastjet but we want to assure all stakeholders that the services are not meant to disrupt anyone’s interests. There is need for the people complaining about Fastjet services to understand the concept behind low cost air travel." said Juma Fimbo, the Tanzanian Civil Aviation Authority's Charperson. 20 Dec 2012. The Chairman of fastjet, Mr David Lenigas, informs the board that he would like to be paid a salary of one British pound a year. "I am passionate about the possibility of Fastjet's ability to change Africa's GDP [gross domestic product] growth profile. I have been doing business in Africa for a number of decades now and this is my personal way of contributing to changing life for the better in Africa." said Lenigas. 10 Dec 2012. Angus Saunders replaces Richard Blakesley as finance director. From 1997 to 2006 Saunders was CFO of BMI; after which he enjoyed short stints with Nas Air, Flybe and Avianova. 6 Dec 2012. Larry Madowo interviews Fastjet's Chief Executive who explains how they started their first base in Dar es Salaam, & hope to take over Fly540 Kenya in Q12013. "We started our first base in Dar es Salaam, we're wanting to do the same thing in Nairobi. Currently we're flying to 2 domestic destinations, we're flying to Mwanza and Kilimanjaro. The response has been absolutely incredible, with far more people than we expected and we're offering really low fares. Not every ticket on the plane is 20 dollars, the way it works is that if you book early you can get a ticket for 20 dollar. If you book very very late you pay quite a lot more. Our average fare is around 70 or 80 dollars, which means that a lot of people can pay 20 dollars. So if you plan ahead, plan what you're going to do then you can travel (inaudible). So these are people who in the past have travelled long distances by bus to Kilimanjaro and Mwanza; and now, for that sort of price, if they plan their journey, they can travel by aeroplane. We want to be in Tanzania and Nairobi, but started in Tanzania has they already had the airbus on their register, Kenya didn't and so it's taken a longer period time for the Kenyan authorities to get the airbus onto their licenses. Their engineers, their air-worthiness people, have to learn about the aeroplane so that they can supervise...The other carriers are not real low cost carriers, what people have done in the past is buy cheap planes which are 25/30 years old, they're only 50 seats, so they're really inefficient, they burn lots of fuel, they cost a load of money to run, so you can't get a low unit cost. Now our aeroplanes (Airbus 319) have 150 odd seats and are really efficient modern aeroplanes which means that I can really drive down the unit cost per seat. Look around the world, it's always that kind of plane, particularly the Airbus, but also the 737 which are the planes that really drive down costs and enable you to go into the marketplace....What we've done in Tanzania, it was a small operation (Fly540) and we shut that down before we started. Kenya's a slightly bigger operation, so what will happen is as Fastjet comes in Fly540 will disappear and it will be a very rapid transition from one to the other. We have no intention of running the 2 brands side by side. And, quite honestly, Fastjet is bringing something brand new to the African continent...Fastjet will bring operation to Kenya, I'm going to say in the first quarter of 2013 because it's quite a bureaucratic process, there's a lot of ticks and boxes and paper to move around. I'd love to have done it before Christmas, that was my original intent, but we wont hit that target. From Kenya we're looking at flying to Mombasa, but really all the regional capitals as well, so going down to Juba, Kigali, down to Lusaka. I think even though it's slightly longer down to Joburg - I think there's a lot of demand for really good value travelling that sort of distance, and Harare, those sort of places...Kenya Airways have been talking about Jumbo Jet for a quite a while and we haven't seen that yet, but bringing our model is not about taking market share from somebody else, we're not coming along saying 'my aeroplane is nicer & cheaper, come fly with me', it's about going to the market place and saying 'you can now travel for this really low cost on a really reliable, really comfortable flight and stimulating a whole new market', and people who haven't flown before are going to start flying. People who have flown once a year are now going to fly every month. Business people, whose sphere of action has been limited by their ability to travel will now have the whole of East Africa as their market. It's that sort of stimulating of the market - we did it in Europe with easyJet & Ryanair, it's been done in the State, in South America, Australia, it's even been done in Russia; and here in Africa it's just crying out for that sort of travel. Travel at the moment in Africa is 4 times as expensive as Europe. The average African airline seat costs 32c per seat kilometre, it's a quarter of that in Europe...Jetlink are using the wrong equipment, they're not really using the (low-cost) model because using the sort of aeroplanes they have just didn't give them that facility, and what we're going to do is start with Dar es Salaam, Nairobi, Angola and other places; so eventually but fairly rapidly Fastjet are going to have airlines throughout Africa. Now they're seperate airlines because of the regulatory environment, but to the consumer it's going to be one website, one great product, whether they're flying to East Africa or West Africa, Fastjet will be the same model, it will be the same service, the same quality and they'll know what to expect. To the customer it's one big airline, but in reality it'll be individual airlines...It's very difficult to predict exactly where we're going to be, but what we've said is that in 6 months we'll have 5 aircraft, in 12 months we'll have 15 as a minimum, my feeling is that there'll be quite a lot more than that, we've said that in 3 years we'll have at least 40 aircraft, those are predictions over where we could end up based on the demand there is in Africa at the moment and the growing middle classes, the amount of money the consumer has to spend, and it's not just statistics, you walk around Africa, you walk around the cities and you see how people are living. There's consumer demand and one of the things consumers like is to travel...Lonrho, who I'm sure everybody knows as they've been out in Africa for a long long time, they had this aviation division, Lonrho Aviation, which had 4 Fly540 companies in Kenya, Tanzania, Ghana and Angola (each had a slightly different level of shareholding). We decided to reverse that out of Lonrho into a seperate company, so Lonrho Aviation was taken out of Lonrho and into a company which was originally called Rubicon, we've now renamed it Fastjet PLC. So, like Lonrho, we're on the London Stock Exchange. The ownership of Fastjet now, 67% of it belongs to Lonrho, 5% to easyGroup which is owned by Stelios Haji-Loannou who started easyJet, and the rest is floated on the stock market. Now Fastjet has holdings in each of the Fly540 companies. So in Tanzania it's 90%, Kenya it's 49% and so on because there's obviously different regulatory requirements in each country...It's an incredibly exciting time for us having launched the airline and it's in the air." 29 Nov 2012. FastJet commences flights from Dar es Salaam to Kilimanjaro & Dar es Salaam to Mwanza. “Our initial focus will be on East Africa with the airline’s first base at Dar es Salaam, Tanzania, where the A319 aircraft has already been approved by the Tanzania Civil Aviation Authority. This will be followed by a second base in Nairobi, Kenya, once the A319 is approved there. We look forward to bringing a great, reliable and affordable service to the people of East Africa.” said Ed Winter, CEO of FastJet. 27 Nov 2012. Swissport signs an agreement to provide ground services for Fastjet, throughout their network. 22 Nov 2012. Fastjet announces that its first branded A319 aircraft has arrived in Dar es Salaam, and that they have been granted approval by the Tanzanian Civil Aviation Authority to operate the plane. 9 Nov 2012. Fastjet announces that it has entered into binding subscription agreements to raise $2.4 million for the issue of 42,857,144 new ordinary shares in the Company at a price of £0.035 per share. Upon completion The Subscription Shares will represent approximately 2.43% of the enlarged issued share capital of the Company. "Following the announcement on 5th November 2012 of the completed FastJet branding and the launch of FastJet operations in Tanzania with three A319 aircraft, the Company is now progressing with establishing the second hub location for FastJet in the continuing plan to build the FastJet network into the Low Cost Carrier for all of Africa. These additional funds will be deployed in assessing an earlier than expect opportunity open to FastJet to interact with the Southern African market place and progressing with the opening of further operational hubs for the FastJet network across Africa." said the Executive Chairman of FastJet, David Lenigas. 17 Sep 2012. Fastjet announces that it will be setting up its first base in Dar es Salaam, Tanzania. 23 Jul 2012. easyJet's Chief Pilot, Rob Bishton, resigns to take up a position at Fastjet. July 2012. Ed Winter is appointed CEO of fastjet. March 2013. Fastjet focus on educating readers about their Airbus A319 plane. There's a writeup on the Ngamba Chimps. November 2012 . Fastjet's first addition focusses on showcasing their offering of affordable flying. There's a writeup on Arusha National Park, paragliding and Aberdare Hills Golf Course. 1 Sep 2014 Fastjet have announced that they’ll be launching their fourth international route which will see them flying between Dar es Salaam in Tanzania and Entebbe in Uganda. Flights will operate twice a week on Tuesdays and Thursdays from the 16th of September 2014. From the 29th of September 2014 they will increase the scheduled weekly flights from two to four flights a week. 28 Aug 2014 Fastjet has applied for an Air Service Licence (ASL) in Kenya. Fastjet has gone to great trouble to ensure that they meet all the requirements including giving 51% ownership to a Kenyan national as well as submitting a detailed business plan. It will be another 22 days before public hearings will take place after which they await the decision of authorities. Obtaining an ASL is the first step to obtaining a full Air Operating Certificate which will allow them to commence domestic and international flights from Kenya. 6 Aug 2014 Fastjet’s first flight between Dar es Salaam, Tanzania and Harare, Zimbabwe departed as scheduled on the 5th of August 2014. This new route is the low-cost airlines third international route in Africa. Fastjet is the only airline that flies direct between the Dar es Salaam and Harare. This route between the two capital cities is expected to do well. Flights will be operated twice a week on Tuesdays and Saturdays. 25 Jul 2014 Fastjet is seeking approval from the Kenyan government to start with local operations in the country. If the airline gets the go ahead they will initially start operations with three Airbus A 319 aircraft that will be reduced or increased according to market demand. The airline hopes to bring their successful business model from Tanzania to Kenya. If they are granted permission to start operations they will be up against Jambojet, who recently launched as Kenya Airways’ low cost subsidiary airline. 23 Jun 2014 FastJet has announced that they will start flying to Harare, Zimbabwe from their base in Dar es Salaam, Tanzania. This means they will now be flying to three countries from Tanzania namely Zambia, Zimbabwe and South Africa. The first flight will take off on the 5th of August 2014. FastJet will be the only company that provides direct flights from Dar es Salaam to Harare once it starts operation on this route twice a week. 30 Mar 2014. Evening flights are added from Dar es Salaam to Mwanza, which are scheduled to leave at 18h20 (and return at 20h30). This increases the DAR-MWZ frequency to 17 flights a week. 1 Nov 2013. Three flights a week from Dar es Salaam to Mbeya commence (Mondays, Wednesdays & Fridays), its 5th domestic flight route in Tanzania. The flights are from Julius Nyere International Airport in Dar es Salaam to Songwe Airport in Mbeya. Fastjet are operating their trademark A319 on the route, and flights are scheduled to take off from DAR at 06h15 and land in HTGW at 07h35 (80 minutes flight time). Return flights are scheduled to take off from Mbeya at 08h15 and land in Dar es Salaam at 09h35. “We’ve had a huge demand from customers to add flights to Mbeya to our schedule and we have worked closely with the Tanzanian Government, the local civil aviation authority and Songwe Airport authorities to make this new route possible. We would not have been able to do this without the significant time, effort and financial investment that government authorities have made in building Songwe Airport’s infrastructure and runway to comply fully with international aviation standards.” said Ed Winter, the Chief Executive of Fastjet. 1 Jul 2013. Fastjet resumes thrice weekly Zanzibar - Kilimanjaro flights on its A319 planes. Flights are on Tuesdays, Thursdays and Sundays. 2013-06-18 Ed Winter on International Flights : Jeremy Naylor interviews Ed Winter, the Chief Executive of Fastjet: "It's taken a long time to get there, we had expected to be flying these (international) routes very soon after we launched at the end of last year, but it's taken a long time to work through the government bureacracy, and to be honest a bit of protectionism, to get agreement for us to fly these international routes, and it's absolutely vital for us. We've rolled out our low cost model on the domestic routes in Tanzania, and had a fantastic reception - great loads and customers really endorsing our brand and our reliability. But what we really needed to do was expand onto the international routes, and now we've got those. So we're really working hard now to get the launch date just as soon as we can and start flying between Johannesburg and Dar es Salaam. It's a route that's been monopolised for years now by South African Airways. It's a very important route for people. Lot of trade between Tanzania and South Africa. Lot of South Africans working in Tanzania. And for Tanzanians, 3 hours and a bit hours away and they've got a country they can visit without visas and they've got a lot of things they can do that they can't do in Dar es Salaam - a different level of shopping and entertainment and so on. So really a prime route to open up with affordable prices. At the moment prices are so high that lots of people just couldn't even contemplate flying there. To a pan African airline Nigeria is a really important country. Almost 1 in 5 Africans is Nigerian, so it's a huge country, lots of wealth, and a dearth of aviation. Of late the amount of aviation in the country has really declined, and the government are desperate to increase that in a realiable and safe manner. We've been looking for the right partner, because it's really important in a country like Nigeria to have the right partner. So we've partnered with Red 1 who had the ambition to launch a low cost airline but didn't have the expertise to do that, but do have the local business knowledge, and the ability to raise capital in Nigeria. That ability combined with our expertise and low cost, and using the Fastjet platform to sell the seats will be an absolute winner. We're hoping to get it up and running by the end of the year. We're a minority equity shareholder in the Nigerian operation, but by bringing our expertise and the level of control that ensures us and our customers that we are rolling out something of international standards and has the right levels of safety and reliability. This enables us to do it whilst taking away a lot of the political risk by having local investors who really understand the local political & business scene and have a lot of interest in making it happen locally...We've put on hold our plans to launch domestically in South Africa, but South Africa is a cornerstone of our plan to be a pan-African airline and we'll be back in there shortly, hopefully before the high season starts. At the moment it's very low season with poor weather and not a lot of people travelling, but come later in the year when the spring and summer comes along we'll be wanting to be launching." 2013-06-14 International Route Approvals : Fastjet has obtained approval for international flights from Tanzania to Rwanda, South Africa and Zambia. "We hope to offer early booking passengers fares as low as $100 (one way excluding government taxes and charges) to and from Johannesburg." said Richard Bodin, the COO. "Bringing the fastjet brand to South Africa is a cornerstone in the creation of our pan-African network. We remain totally committed to launching the fastjet brand in South Africa as soon as possible, but given all the time and effort the team has invested over the past months to secure our international route designations, we have taken the sensible decision to prioritize setting up these lucrative and high profile routes first, before turning our attention to launch the fastjet brand on domestic routes in South Africa." said Ed Winter, the CEO. Online reservations may be made at FastJet or by emailing sales.tanzania@fastjet.com. 2013-06-14 Fastjet - Red 1 JV : Fastjet takes a minority shareholding in a company which is going to be called "Fastjet Nigeria", and is a joint venture with Red 1 Airways. 5 Dec 2012. Fastjet confirms it is in talks for a potential partnership with Emirates. Mr Ed Winter, CEO of Fastjet, said that "Talks are at an early stage but this represents a great opportunity for both parties." 2014-06-27 April was a good month for FastJet's financial department. The company raised $24.8m through various investors. Standard Life, Henderson Global, City Financial and Majedie bought shares to a total of $18.2m after the share placing by FastJet. The management of FastJet also invested around $1.6m back into the company which boosted investor confidence. Director's now hold the following shares: Edward Winter owns 31,300,000, Robert Burnham owns 147,305, Angus Saunders owns 6,250,000 and Richard Bodin owns 3,125,000 shares. Another major investor Sir Stelios Haji-Ioannou invested $1.6m by buying shares after the placing and he also agreed to waive his Management Fee in exchange for $2.5m in shares. FastJet revenue increased from $21.0 million to $53.4 million which is a massive 154% of growth. They had an operating loss of $47.6 million while the average revenue per passenger rose from $46.30 to $95.20. 2014-04-11 Fastjet's share base is increased by 112% when a total of 687.5m shares are issued at 1.6c each, a discount of 11% to the 9th April 2014 closing price on the London AIM exchange. Easygroup has bought a million pound of the shares, and and the consultancy fee has been ended in exchange for some 94m shares. Two fastjet directors, Angus Saunders & Ed Winters, bought a million pounds of shares between them. The faility with Darwin has been closed. An open offer will be made of up to 250m shares at the issue price to other shareholders, which wont be underwritten. 2013-11-18 Fastjet announces that it carried a record 33,778 pax in October 2013, with planes being on average 70% full. Ancillary revenue rose from 7% of total revenue in June to 10% in July, buoyed by are well performing in-flight retail service. Fastjet are planning on offering car hire, insurance and accommodation. They are expecting cargo revenue to rise on the JNB-DAR route. Overall, 94% of flights were on time. 2013-11-14 Lonrho Limited has has fully disinvested from fastjet, selling its 52m shares for 2.85 pence per share. 2013-10-28 Fastjet announces that it has drawn down £2,390,000 on its EFF (Equity Financing Facility) with Darwin Strategic Limited, an entity majority-owned by Henderson Global Investors Volantis Capital Fund, in exchange for 59,750,000 shares. 2013-10-24 It's announced that Lonrho, the biggest shareholder in Fastjet PLC, has reduced its stake to 22.8% (previously they had sold it down from 28.7% to 26.0%). 2013-09-30 Interim results for the 6 months to 30 Jun 2013 are announced. Fastjet suffered a $25m loss in EBIT. At 30 Jun 2013 the company had cash fo $4m. Revenue has increased sharply to $81 per pax in June 2013, compared to $46 per pax in January 2013 (and load factors from 66% to 78%). The plan on adding routes in Malawi & Zambia, after Johannesburg to Dar es Salaam. 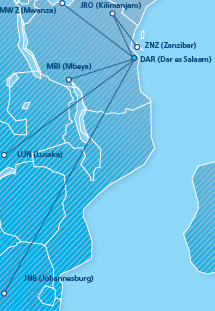 In Tanzania, they are adding Mbeya to their route network from 1 Nov 2013. Once Tanzanian routes are made profitable, fastjet will "turn our attention again to the South African market. Regional routes from South Africa to Sub-Saharan destinations lack effective competition and are both underserved and overpriced and ready for an alternative to the cosy relationship between South African Airways and the respective national carrier of each country. It can cost the same amount to fly direct between two Southern African cities on a flight of 3-6 hours as it does to fly to Europe on a 10-12 hour flight." Fastjet draw attention to their social media successes on Twitter and Facebook "with fastjet rapidly becoming the most "liked" airline in sub Saharan Africa, well ahead of long established airlines such as South African Airways and Kenya Airways." They plan on introducing in-flight retail, hotel services, insurance services and allocated seating. The Fly540 operations they run in Angola, Ghana and Kenya resulted in an EBITDA loss of $6.2m, and they are introducing a restructuring plan as the "turbo-prop business model of Fly540 based on relatively small turbo-prop aircraft is unlikely to achieve profitability in the short term. The Board has therefore sanctioned a restructuring plan". Fastjet shed some light on their plans for South Africa: "In some countries, developing the fastjet brand will involve direct investment (as is the case in Tanzania), while in other countries it will be via a licencing agreement. Direct investment is most likely in larger, more mature markets, such as South Africa and Kenya, with licencing agreements more likely in smaller, less well-developed markets and those with a difficult investment environment such as Nigeria." 2013-08-04 Share Consolidation : Fastjet are undertaking a 10 for 1 consolidation of its shares to increase the share price. The problem is that the market value sometimes dips below the 1p nominal value of shares, and company law does not allow the issue of new shares at a value below the nominal value of the shares. 2013-07-25 Sir Stelios Raises Fastjet Stake : Sir Stelios Haji-Ioannou has increased his share of ownership in Fastjet from 3% to 5.8%. Instead of receiving royalty payment due to him, Sir Stelios is being paid in the form of 110,334,156 shares which Fastjet is issuing. 2013-06-21 £1,099,890 raised from Darwin : Fastjet have raised £1,099,890 by drawing on a facility with Darwin Strategic Limited (who are 100% owned by Henderson Global Investors Volantis Capital). In return Darwin received 108,900,000 shares in Fastjet Limited. Fastjet have also issued 79,675,000 "conversion shares" to Bergen Global Opportunity. This brings Fastjet's share base to 2,797,138,414 shares. 6 Jun 2013. The Chairman of Fastjet, David Lenigas, buys 1 million shares of the company at 0.99p; bringing his total holdings to 1.2m shares. 31 May 2013. Fastjet financial results for the 18 months to 31 May 2013. 15 May 2013. Lonrho, the biggest shareholder in Fastjet, has agreed to be taken over for 174.5 million pounds (nearly double its market capitalisation) by FS Africa, a company controlled by Rainer-Marc Frey and Thomas Schmidheiny (which already owns 19.9% of Lonrho). Lonrho will be delisted from the London Stock Exchange. 21 Jan 2013. Fastjet issues 12.5m new shares to Darwin Strategic at 4p per share. 15 Jan 2013. Because of the issue of 26,666,666 new shares and Lonrho Plc's number of shares staying constant at 1,160,037,455 shares; Lonrho Plc's interest in fastjet has fallen from 62.7% to 61.85%. Jun 2012. Rubicon acquires Lonrho's aviation business, which flies under the Fly540 branding. Fly540 operates flights in Angola, Ghana, Kenya and Tanzania. 23 Feb 2012. Rubicon announces that it is in talks to purchase Lonrho's airline business in Africa. 5 Dec 2011. Stelios Haji-Ioannou, the founder of easyJet, says that his easyGroup has agreed with Rubicon (a British investment company) to together study whether launching an African low-cost carrier is feasible. EasyGroup is issued 5% of Rubicon's shares & has the option to purchase 10% more. The chairman of Rubicon, Robert Burnham, says that "It is proposed that easyGroup will become a shareholder in Rubicon and will use the services of Stelios and easyGroup's experienced aviation management team to provide general strategic, management and branding advice on the feasibility of implementing a low cost, point-to-point, no frills, all jet aircraft business model for Africa." Under the deal Rubicon is given the right to use the "FastJet" name in return for a royalty fee, and easyGroup provides branding advice. Nov 2011. Rubicon raises £400,000 from shareholders (including Lonrho). 26 Sep 2011. The founder of easyJet, Stelios Haji-Ioannou, announces plans to form a new airline, FastJet. Fastjet's fleet includes 3 leased Airbus A319s. They originally planned to have 5 A319's by June 2013, and 15 by December 2013; but in April 2014 the fleet was still standing at 3 A319s. 7 Mar 2013. Fastjet PLC accounces that it has commenced proceedings in England's High Court of Justice, seeking a declaration that Fastjet has paid Donald Smith for his shares in Fly540, & that Donal Smith hand over all documents which are required to transfer control of Fly540 Kenya. If passengers do not show up at the airport in time for their flight, they need to repurchase a new ticket at full fare. There is no refund for passengers who want to cancel their flight.